Good morning, friends! Thanks for dropping by for my March edition of Ways With Washi for the DeNami Design blog. I'm tired of the drab, faded winter landscape and am craving some spring colors. So my theme today is Easter eggs. 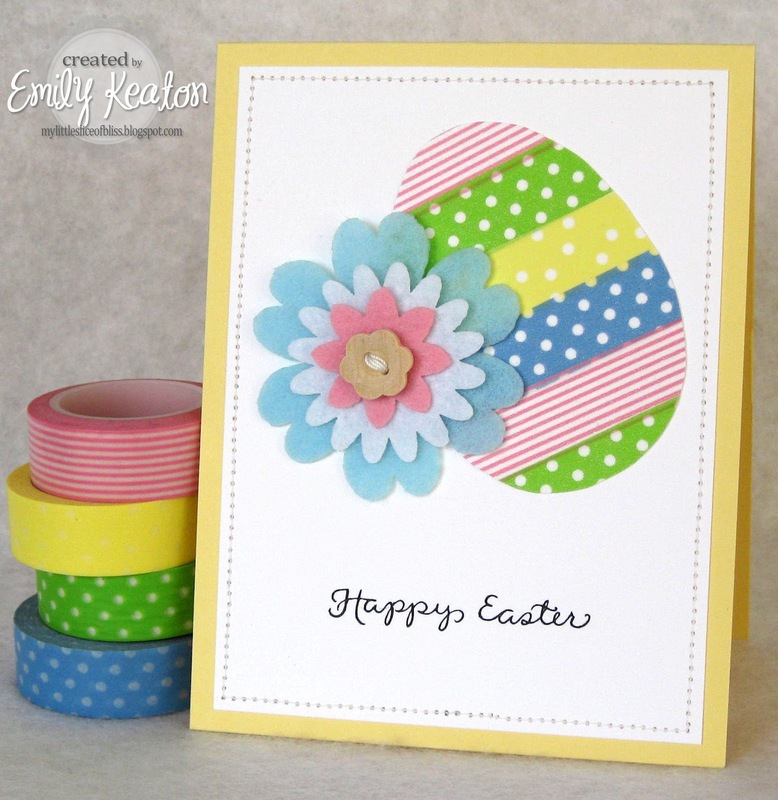 Let's see how you can add happy colors to your Easter eggs with washi tape! I'm starting today with some good old-fashioned, hard-boiled Easter eggs! Do you like to dye your Easter eggs? 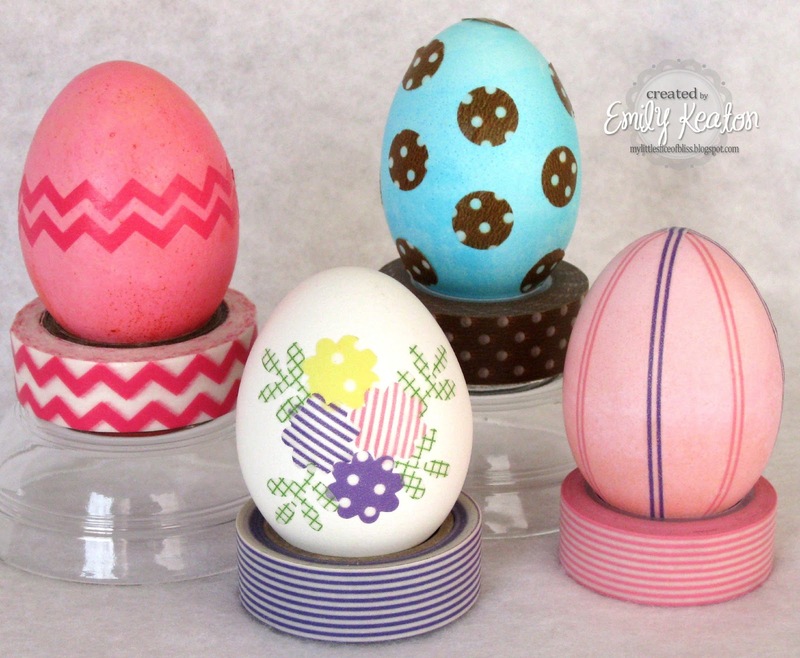 It's so easy to add colorful accents with washi tape to dress up solid-color eggs. For this first egg, I went with one of my favorite color combinations by dying the egg blue and adding big brown polka dots with washi tape! 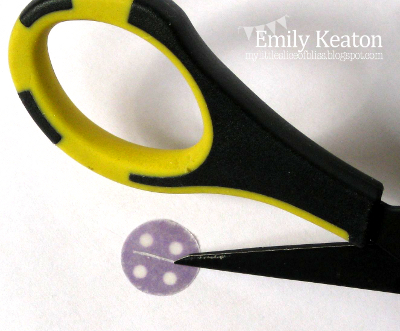 I simply adhered a strip of DeNami Brown/White Dots Washi Tape to wax paper and punched out dots with a 1/2-inch circle punch. 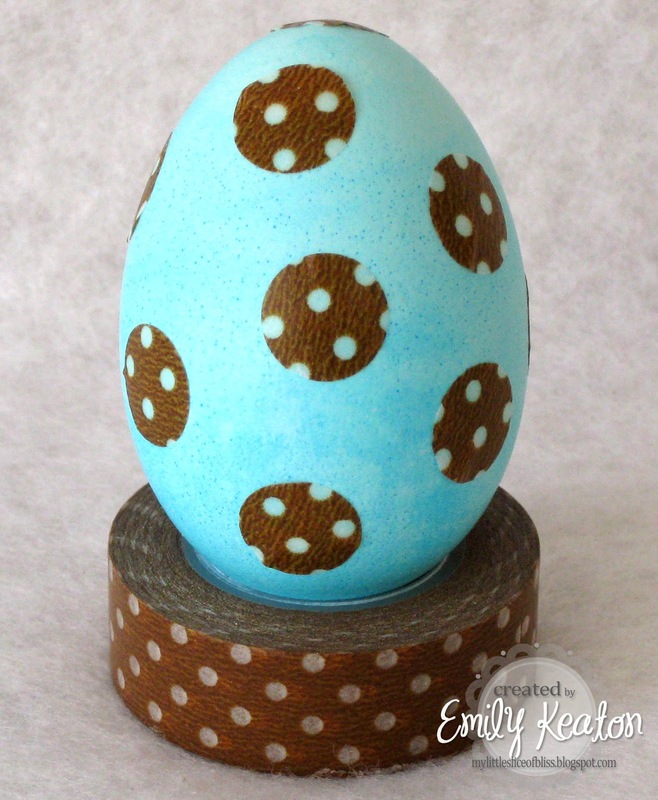 Peel off the wax paper backing, affix the dots to the egg, and you have one perfectly stylish Easter egg. Done! 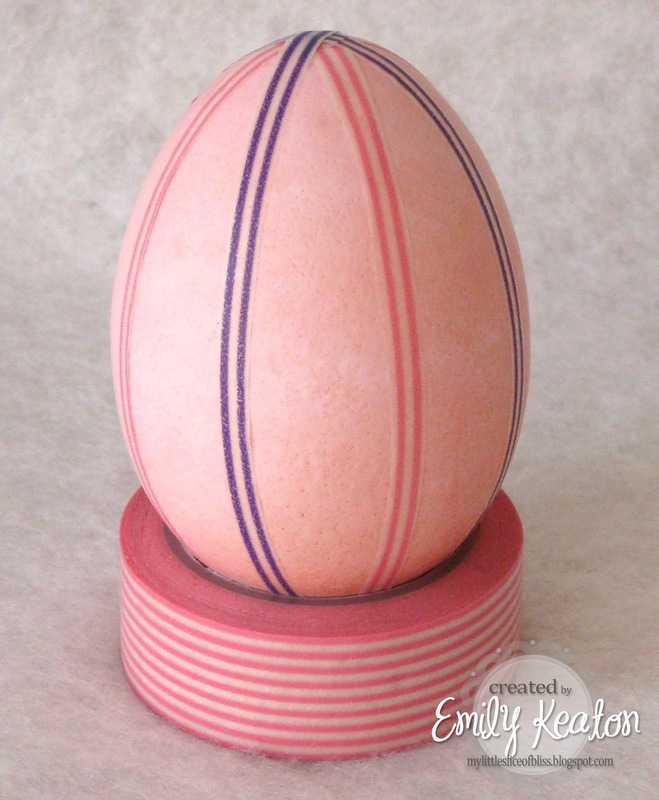 For my second egg, I adhered long strips of DeNami Pink Stripes Washi Tape and DeNami Purple Stripes Washi Tape to wax paper and trimmed each with scissors into narrow bands, two stripes wide. The stripes make perfect cutting guides! (Full-width washi tape tends to pucker when adhered to the highly curved egg surface, so you'll have better results with thin strips). Simply peel the narrow washi tape bands from the wax paper and affix to the egg, applying the stripes lengthwise from one end of the egg to the other. Add additional stripes until you are satisfied with the design. Why is it that chevrons seem synonymous with Easter egg designs in my mind? It's so easy to add them with some DeNami Pink Chevron Washi Tape. I used my wax paper trick again to trim out two long chevrons from the washi tape before adhering them around the egg. Prefer to go dye-free with your Easter eggs? I added lots of color to my white egg with flowers punched from DeNami's Yellow/White Dots, Pink Stripes, Purple Stripes, and Purple/White Dots washi tapes, then embellished with leaves punched from DeNami Green Graph Washi Tape. Now, what if you'd rather go with candy-filled plastic eggs? 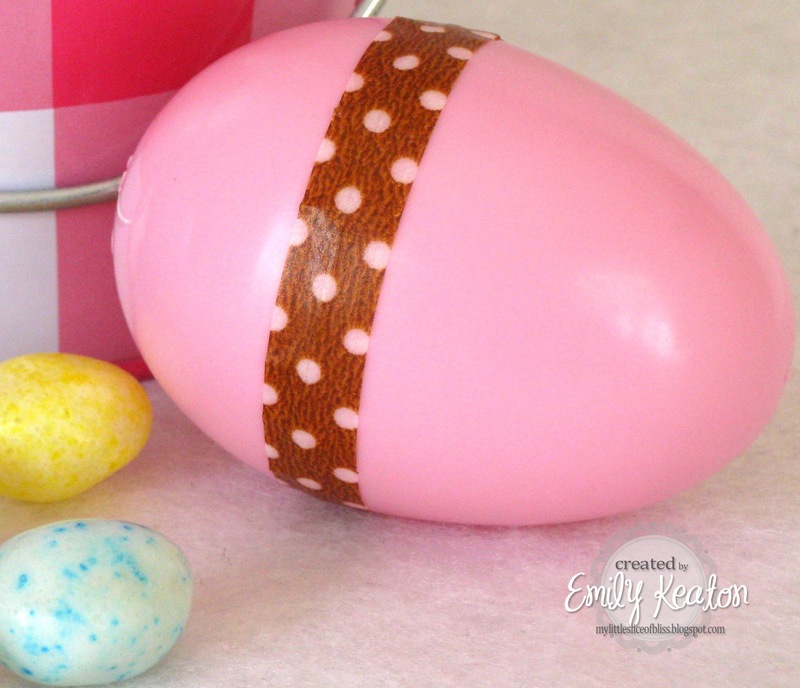 Washi tape can add a fun splash of color to filled eggs AND serve the practical purpose of sealing the eggs shut--oh, so useful for protecting the delicious contents from accidental spills during boisterous egg hunts! Using the washi tape's full width (shown on orange and pink eggs) is quick and provides full coverage for sealing but results in a slightly more puckered finish. 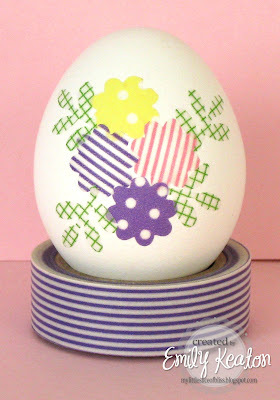 Trimming washi tape in half lengthwise before adhering to a plastic egg results in a relatively smooth finish but takes an extra step and provides less coverage for sealing purposes. Just in case edible or treat-filled eggs aren't your thing, I've got one final washi tape idea for Easter eggs. How about decorating a paper egg? I decorated the egg on this card in a jiffy with four different DeNami washi tapes. I traced an egg-shaped cookie cutter on cardstock and covered it with strips of washi tape. After cutting out the shape with scissors, it was ready to be adhered to this cheerful Easter card. Whew! That was a long post, but I hope it gave you some usable ideas for dressing up your Easter eggs, in whatever form they may be, with a bit of colorful washi tape!! I'll leave commenting open until 11:59 p.m. EST on Wednesday, March 27, 2013, and will draw one commenter at random. The winner will be announced right here on my blog on Thursday, March 28, and if I'm able to find an email address, I'll be sure to contact the winner as well. I'm so glad you dropped by for a little slice of bliss today! If you find it difficult to punch through washi tape layered over wax paper, try adding a layer of cardstock behind the wax paper while punching to add some rigidity. If you find it difficult to peel the wax paper backing from your punched washi tape shapes, try flipping the shape over and lightly scoring the wax paper with the tip of sharp scissors. Then simply fold the shape along the scored line to "break" it open and peel the wax paper away from the center outward. Oh my goodness, your eggs are the cutest Emily!!! 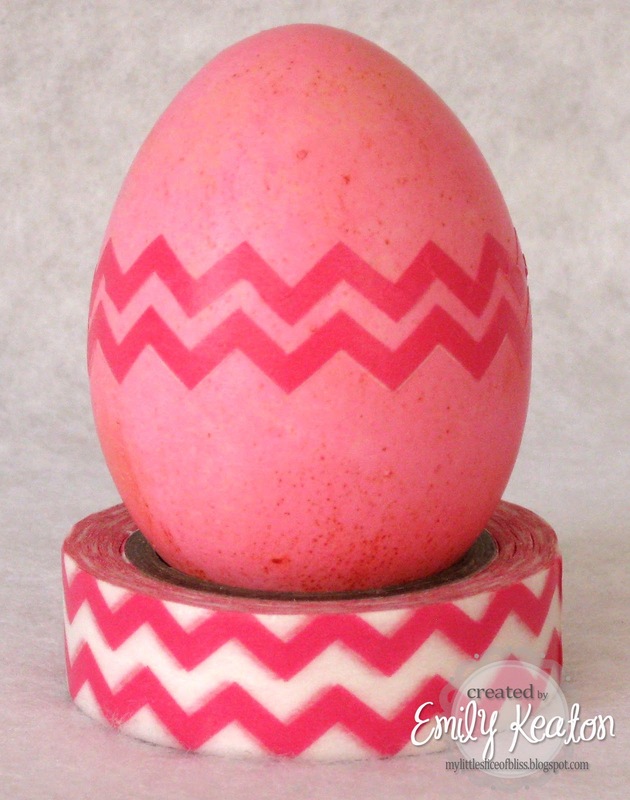 Washi tape makes the perfect decoration on both types of eggs! And thanks for the tip using wax paper to punch out shapes! I bet my son would be happy to have some eggs like these! And what a sweet card, a perfect egg there too!! I am sooo enjoying your eggs! They are ingenious! I'm also a follower... I follow by bloglovin now! Oh, your idea with Washi makes me so happy, Emily. I would have never thought to use Washi tape on Easter eggs. How cute they are. Love your tip using the wax paper which is also great to use when cutting dies. What a fun way to decorated Easter eggs! And that Easter egg card is fantastic! I love that idea! How creative. I would have never of thought of using washi tape to decorate Easter eggs.. They look wonderful. Love your card as well. Emily! These are so cute! Seriously such a fun idea I am going to have to try this! Oops I was so excited about trying your Ideas that I forgot to wish you a Happy Easter! oh, my gosh!! What a clever idea!! I love them. Super happy that you are doing a giveaway to go along with your washi posts! Your eggs are simply adorable and how easy to do too! Thank you for the cute idea! Fun project! Love all the washi tapes! Great idea of using the wax paper! I am already a follower thru Google reader! Love the Easter egg card! How cute! Pretty Washi tape! Emily Emily Emily...you have done ANOTHER out of this world Washi special feature! Love every bit of this post. Perfectly springy, perfectly Eastery, perfectly FUN!!! Now I am just giddy head over hills! 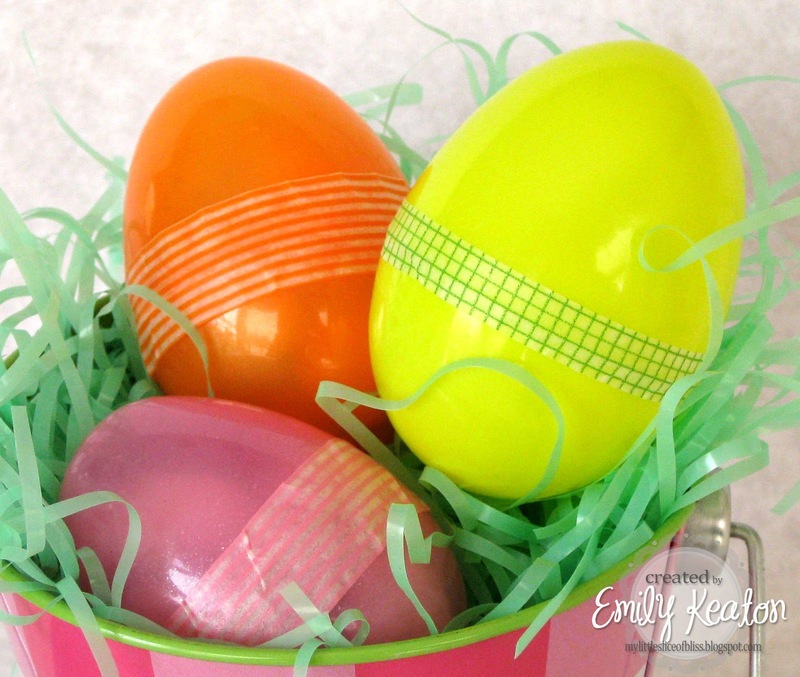 Love this fun project and pastel decorated eggs! Love all your egg decorating projects from paper to the real thing! OMG Emily! This is the greatest Easter post ever! LOVE all those little washi eggs and such great tips. wow wee this is a great post.. totally love your fun ideas...very inspiring..
You're a crafty genius Emily! Love this...and great tips too! This post makes me happy, Emily! I loved seeing the ways you used washi for Easter. :) Great, great job! 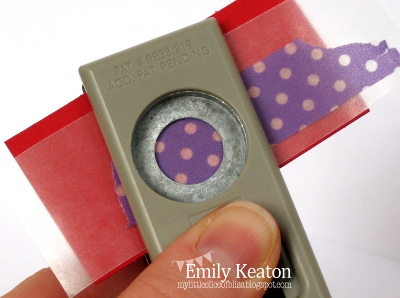 What cool and clever ways to use washi tape! Thank you for the tips too. Also, I am a follower of your blog through email subscription! Your Easter table will look amazing. Love your pretty card too. You come up with so many fun ways to use Washi. I've never thought of using tape on Easter eggs! So clever and oh so cute! thanks for a chance to win! Love this idea and how you displayed them on the rolls of tape! Fab card too Emily! This Rocks! 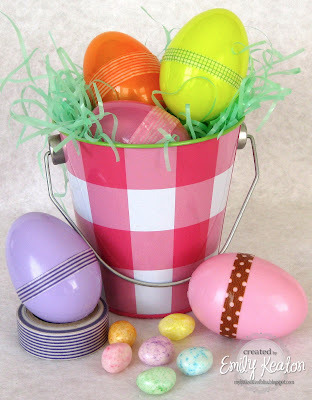 Great ideas and tips on decorating eggs--I am so HAPPY you shared! Your creativity blows me away Emily, great tutorial! Such a fun and great idea!!! Love how you used the washi!! 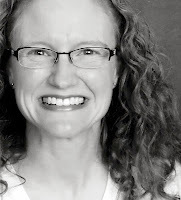 Oh my, Emily--what a wonderful post! Love all your beautiful eggs. You're making me think I need to get comfortable with Washi, so I'd be very HAPPY to win a roll of the pink (my favorite color). Thanks for the inspiration! Emily, as I said on my Pin, these washi tape eggs are "awemazing!!" Thank you so much for showing us how you did this!!! I so love that you did real eggs this way! Awesome!!! I love using Washi tape. I like all the happy colors and patterns they have. Thanks for the great advice and ideas. I really appreciate it. Thanks. I have recently found your blog and started following you. Thanks for the great advice you share. Emily, this is genius! Not just for decorating eggs (which is totally awesome!) 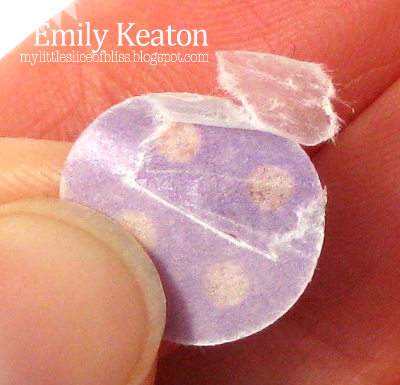 but the wax paper tip will totally help with manipulating washi for cards too! Yay! Wow! Great use of washi tape...so creative!!! I am finally reading Easter posts...after Easter has passed! Just wanted you to know how much I enjoyed this post. Those eggy ideas are so cool. I will try them for sure next Easter!